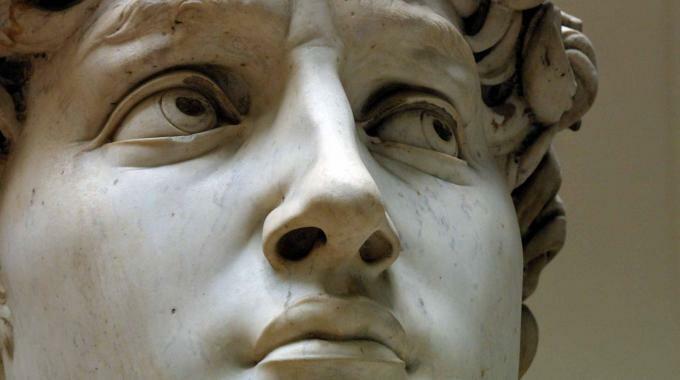 When Michaelangelo started carving David he didn’t grab his tiniest chisel and smallest hammer. He grabbed his big chisel and big hammer (I assume). Why? Because he needed to coarse cut the stone away to roughly the right size. 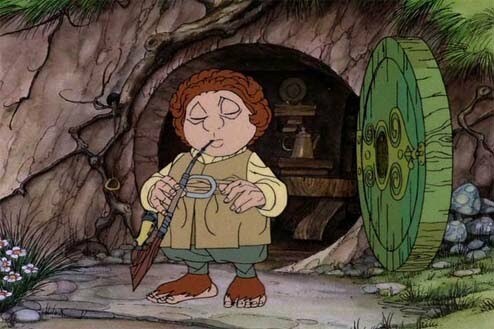 Then once the bulk of the stone was removed he could use his fine tools to chip away slowly. This Coarse Vs. Fine concept is the core of this quick article on game design. When designing a game it is often easy to think of a lot of awesome things that could be in the game. I know there are people who put in everything but the kitchen sink into their game designs and then remove things as we go. This coarse/fine idea fits well with that design concept. There are others who start with a simple mechanic or a theme and then add things only when needed. This article doesn’t address that situation. I’ll cover that design realm another time. But for those of you who start big and remove the unnecessary components, keep reading! You must choose wisely… Not really. When you start a game design you’ll choose a mechanic or a theme or both. This is like going to the quarry and picking out the stone you’ll start with for the sculpture. When picking the stone you want to make sure it is big enough, has the right grain structure, possesses the desirable color and so on. Similarly, when choosing the mechanic and theme you’ll want to make sure you’ve got a lot of different components that fit with the theme and mechanic. This is where you design the game, prototype it, and play it. Once you’ve played it there will likely be parts of the game that don’t work, are broken, don’t make any sense, or aren’t fun. Take the hammer to them! Like making a sculpture, once the stone is in your workshop you typically sketch a little on the block and then start taking the hammer to it. It is time to take away big chunks of the stone that you know you won’t need. Don’t be afraid to remove those big chunks of stone. Back in the game design world, this is where you remove those chunks of the game that were broken, didn’t make sense, or weren’t fun. Don’t be afraid to get rid of them. If you have things that don’t make sense thematically… Hammer Time! If you have mechanics that don’t work right… Hammer Time! If mechanic X isn’t any fun… Hammer Time! If you aren’t happy with something… Hammer Time! The point here is to narrow the focus of the design. Take away the things that obviously don’t belong. If something is iffy, save it for later. Playtest it over and over until you feel you’ve removed all the big chunks. Then put away the hammer and grab the chisel. I know that “Chisel Time” doesn’t sound as awesome as “Hammer Time” but it’s much more important in terms of game design and development. It’s easy to break away the big chunks of a game. But using your fine tools to craft something with elegance and class is very difficult. Chisel Time is really where you move from game design into the game development realm. Once you have finished with the hammer you are left with a block of mechanics, components, and concepts that closely resemble a final product. The nitty gritty down and dirty work happens in the Chisel Time phase. This is where you playtest, tweak, playtest, tweak, playtest, tweak, and on and on. You’re no longer removing large chunks from the design. Rather you are polishing the remaining elements to make them as streamlined and perfect as they can be. The whole idea here is to give a perspective about how game design works. Relating game design to sculpting stone allows me to have the right mindset when I’m working on a game design. Early in the process it is important to put the elements together and make a prototype. You can’t take a hammer to it unless you know what you want to remove. Once you’ve hammered away the big chunks then your mindset changes. You’ve got the mechanics you want. Now it is important to figure out how to balance the mechanics and the currency and the other elements in the game. You go from removing elements to refining elements. That’s a lot of work, but it is also one of the most rewarding parts of the design process. Just a couple weeks ago I had refined an element for Brooklyn Bridge and one of the players mentioned how it took it from “Good” to “Special.” That’s really what you’re looking for during Chisel Time. How do you design games? Do you start big and remove things as you go? Or are you the opposite where you start with a simple element (mechanic or component) and then add the things that are needed? Welcome back to Boards & Barley. I’m so glad you’re here. Today we’ve got a standard Monday Brews article but I’ve got some good stuff in the pipe for this week. I’ll have an article about game design regarding when/how to chip away at your game. I’ll also have a Grand Illusion article. And I’m hoping to have one other article for you all on Friday. Not sure of the content yet, but I have a few ideas. It’s about time that I started making this blog rock again, don’t you think?? As a reminder, I want to point you to my article about the new board game publishing company that several friends and I are starting: “It’s Time for a Mutiny!” The company is called Moon Yeti and we are going to be giving away about 100 copies of a sweet microgame called Mutiny at Gen Con. Will you be there? Now, let’s get on to the Boards & Barley! You and me goin’ fishin’ in the dark! This was a quite enjoyable beer from Capital Brewery. They are located in Middleton, WI and have branched out a bunch since the previous brewmaster left to start Wisconsin Brewing. 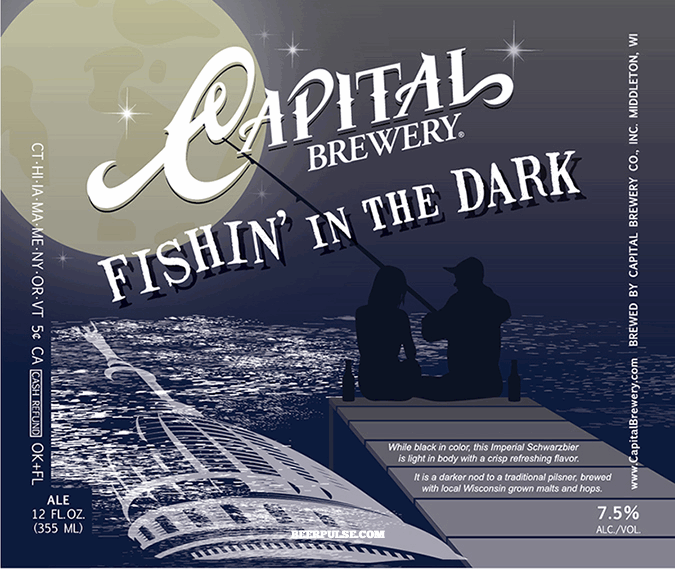 Capital are brewing some really cool beers. This one seems a fine addition to their lineup. This game is pretty legit. The theme is cool and unique. The gameplay is tight. And in the end you find yourself with your own little theme park. That’s pretty sweet. The game lasts 6 rounds. Each round players roll 6 dice (over and over again) until they get the results they want. Then in turn order (based on who stopped rolling first, second, third, etc.) players will resolve their dice. The dice allow for building rides or stations, finding visitors, cleaning your park, or fulfilling bonus cards. There is a good amount of forethought necessary when trying to optimize your dice. And there is also a bunch of different ways you could try to win. Players win by having the most money. If your park is too dirty at the end, you will lose money. Overall I felt the game was a lot of fun. It’s a game I definitely want to play at least one more time. There you go. 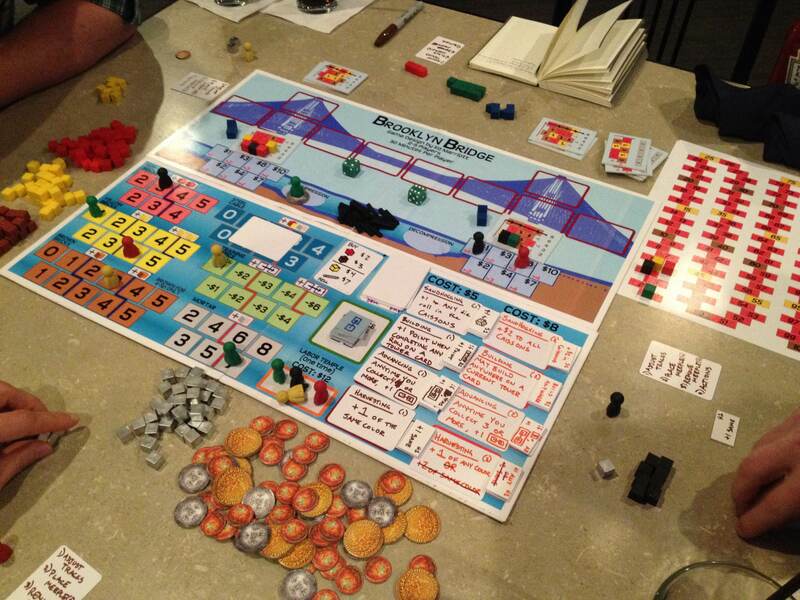 I made no game design progress last week, which was extremely disappointing as I am really hoping to get Brooklyn Bridge to a better state prior to Gen Con. It will be a big focus for me this week and I try to hone the design and infuse more fun, more interesting decisions, and more long-game strategy. What Boards & Barley have you been enjoying? First things first: Today is July 14th… Gen Con starts August 14th. That means we are 1 month away from Gen Con! Woo Hoo! Now let’s get to the bi-weekly Boards & Barley that I have enjoyed. As usual we’ll start with the Barley. Clean and friendly with some delicious beer! As one of my goals for the year I am “adventuring” out of my beer comfort zones and into more varieties of beer. IPAs are one of those varieties that I previously would never have chosen. But I am now embracing them. In the past I have typically stayed away from hoppy beers. But this beer was actually very drinkable and enjoyable. The hop level wasn’t too strong and it seemed to provide just the right about of character. If you are ever in the Madison area I recommend stopping by Next Door Brewing! Simple and elegant artwork and gameplay! I played this at Next Door Brewing and I really enjoyed it. It is quick, has beautiful and simple artwork, and the gameplay is elegant. Sushi Go has a card drafting mechanic similar to the game 7 Wonders. Ultimately, Sushi Go is like 7 Wonders Lite. Take a card, pass the rest, then play the card. The cards present different scoring opportunities. Some have you build a set to score. Some score straight away. Some score at the end of the game. The design is so smooth and simple that it is easy to see why people enjoy this game. With Gen Con one month away it’s really crunch time in terms of the designs I want to show. Brooklyn Bridge is really at the forefront and will be where I place the most effort over the next few weeks. It’s at the point where some of the cards need some tweaking, but ultimately it just needs to be played more. I would also like to see if I can prototype The Grand Illusion and get in some preliminary playtests, even if it means the first time it gets played is at Gen Con.